Here’s my John Cage joke, well not a joke as such, it actually happened in London a number of years ago. Man in public bar playing a piano quite badly, a voice comes from somewhere at the back of the pub, Hey mate do you know any John Cage? Laurie Anderson was my gateway drug for the avant-garde, John Cage is my heroin. This is actually one of his least discordant works and some of the pieces really get inside your head. I first heard this about 10 years ago and I return to it quite often. 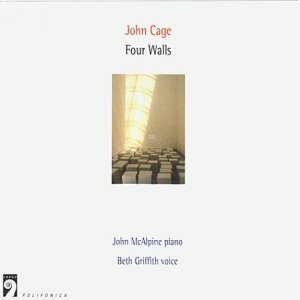 This entry was posted in Uncategorized and tagged John Cage. Bookmark the permalink.